JRPG Jungle: Blazblue: Chrono Phantasma out now on PSN! I swear I mentioned a couple of weeks ago I was bummed that I couldn't find Blazblue: Chrono Phantasma anywhere in Australia (I couldn't find the post...but I remember typing it somewhere!). Well, I'm a little late to the party here, but Blazblue: Chrono Phantasma was put on PSN for us all to enjoy as of last week! And on topic: How amazing is the promo poster?! This is the third installment of the Blazblue series. So far the game is on PS3, but it is due out on PS Vita as well in June in the US. The PS Vita games are region free, so if you want to wait for the Vita version, you can pre-order on Play Asia. 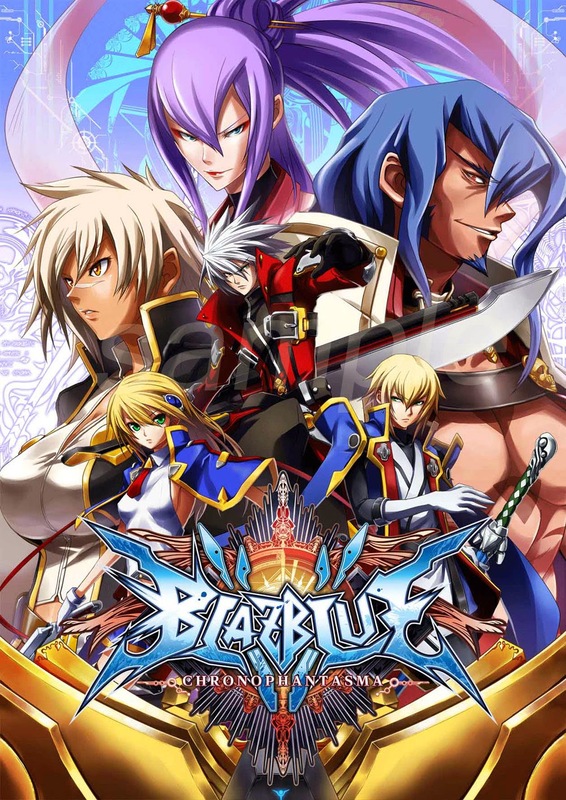 If you're not familiar with the world of BlazBlue, BlazBlue is a 2D fighter game, with fighting mechanics by Arc System works. I've always felt the games fit very well with the philosophy of arcade games: easy to play, but difficult to master. Each character has different combos and special abilities, so you can spend a lot of time getting good at different characters. If that seems like too much, don't worry, I barely know any combos and the game is still fun. The game also has a big story mode (although I've heard it's a little smaller in Chrono Phantasma) with a complicated story line spanning over multiple time lines. Anyone else planning to pick this up? I'm still on my PS3 game ban till Australian Spring, but I may get it on Vita considering I'm really enjoying Continuum Shift right now. The story mode is probably the most in-depth I've experienced (even more than Persona 4 Arena) and I still haven't looked at everything else on the menu. I love the Visual Novel feeling of the story. It's just good.